The Vindel River and Vindel River Rapids Nature Reserve. The Vindel River rapids by the village of Vindeln are part of the most spectacular sections of the Vindel River. The rapids are most powerful during high-water periods in the middle of June, but the area is suitable for visits and still spectacular at all times of the year. The Vindel River rapids have been protected both through the declaration as a nature reserve and through Natura 2000 – an EU network aimed at preserving valuable nature for the future. Natura 2000 is an EU network among member states aimed at preserving valuable nature for the future. The Vindel River is one of the four biggest rivers in Sweden that has remained untouched by hydroelectric power plants. Timber-floating in the Vindel River begun already in the 19th century and ceased in 1976. In the peak period, several million timber logs floated through the river. To prevent them from getting stuck, stone piers were built alongside the shores. Along many floatways of the Vindel River, remains from the timber-floating era have been removed in the interests of fish and aquatic animals. In Renforsen, however, the timber-floating remains have been kept to show visitors the cultural history of the river. 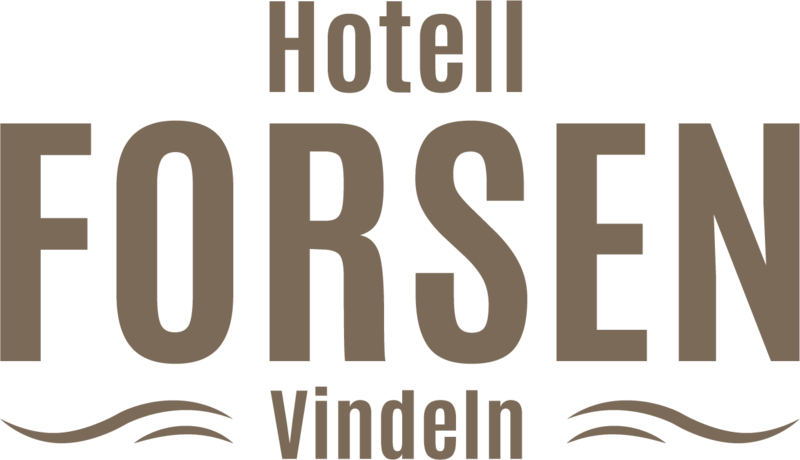 Alongside the Hotell Forsen premises with its hotel, restaurant, café, cabins and camping site, you will also find beautiful and easily accessible public footpaths suitable both for those who are keen hikers and those who are complete beginners. The paths run alongside the river making your walk a memorable nature experience. On the other side of the river, there is also a short walkway where you follow the river history through informative signs, and enjoy exciting carved figures in wood. Upstream from the hotel, you will find Mårdseleforsarna rapids that provide a spectacular landscape. There, you can walk across suspension bridges, footbridges and tracks close to the river. Mårdseleforsen Café and Restaurant can be found along road 363 where you can take a coffee break overlooking the river and the rapids. Mårdseleforsarna Nature Reserve can also be found from road 363. Travel towards Sorsele from Vindeln. When you have passed the village Mårdsele By, carry on for another 3km and follow signs for Nature Reserve. Setting off from Hotell Forsen, you can also walk the entire or parts of the unique Isälvsleden track. Isälvsleden is a 60km long walking track between Vindeln and Åmsele villages in Västerbotten County. The track crosses intriguing landscapes created by the inland ice thousands of years ago. The track offers several wind shelters and an overnight hut where first come, first served applies. But you can also spend the night in your own tent along the track. The route is greatly varied and also includes a water passage where you need to row across in a boat to carry on (boats provided). For fishing enthusiasts, you can also buy a fishing permit, valid along the whole route. The path is walkable in snow-free seasons.